Select the RadThemeManager control, and then open its Smart Tag menu. Select Load Theme From File. 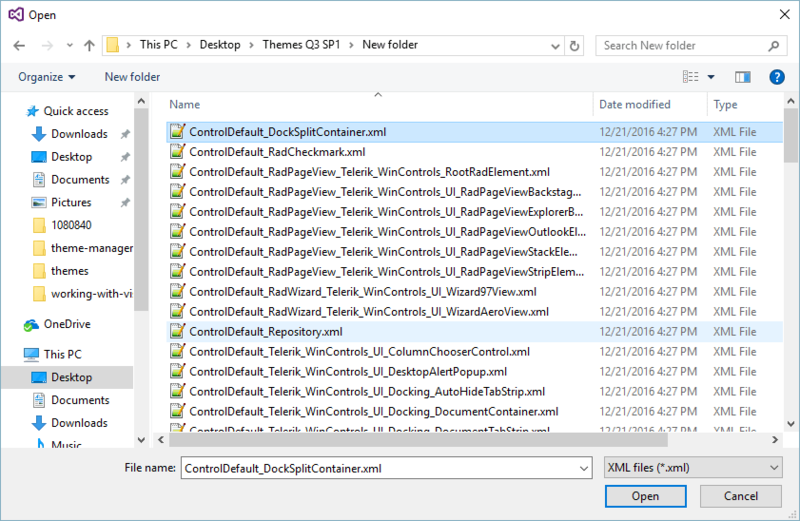 Find your theme in the Open File dialog box, and then click Open. It is up to you to choose a theme that makes sense for the controls on the form that you are customizing. Theme Manager does not check the theme to make sure that its customizations apply to the controls currently on the form.